late bloomed: mu-tokki's UD Naked Palette Giveaway! 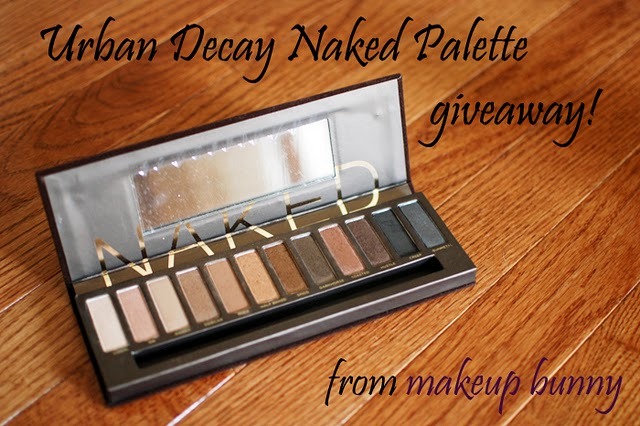 And so I've joined a couple of giveaways/contests to win this much talked about palette from Urban Decay but fate just won't go with me. This time, I'll try my luck again (there's nothing to lose anyway) so I'm joining mu-tokki's giveaway. She's so generous she'll be giving away this stuff complete with a mini bottle of Primer Potion and double-ended 24/7 eyeliner in Whiskey and Zero. I would love to have this one because some of the Naked Palettes that were released doesn't come with the eyeliner but instead with the karma brush.